I know it has been quite a while since I've posted on here and that's because a lot has been going on. I feel like I've been on one crazy adventure this past year and I wouldn't have had it any other way. One major thing that happened during my time away was that I got engaged! 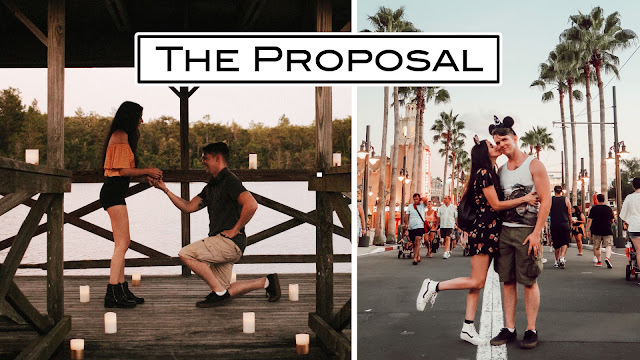 Although, I wasn't keeping up with my blog very well, I did continue to post videos on my YouTube channel and I was actually vlogging during my trip to Florida, which is when Caleb proposed. He also had the help of my family to plan it out and to get a video and some pictures of the proposal. I'm glad that I can now relive the moment he asked me to marry him. Below, I've attached the vlog of the first part of our trip to Florida, where it includes some clips of the proposal as well as our Disney vacation! How sweet! Congrats on your engagement!